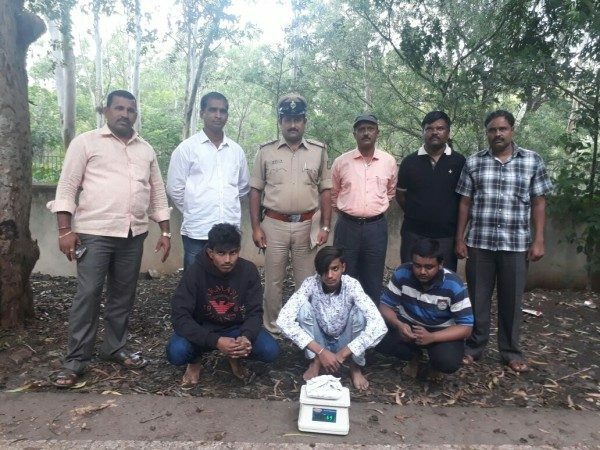 50 Grams brown sugar worth 45,000 was seized from Fahim (22) of Basav Colony Belagavi, Ravikiran Patil (20) VeerBhadra Nagar, Abdulla Jamadar(19) Ram Ngar Belagavi. The police acted on a tip off and arrested the accused near KLE Hospital. J M Kalimirchi under the guidance of his officials arrested the accused.